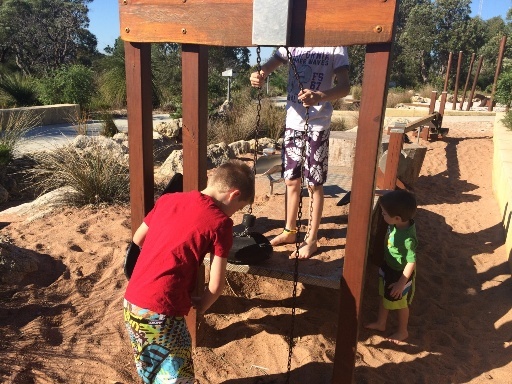 Rannoch Tay Reserve is a hidden nature based play gem, north of Perth in the quiet suburb of Hamersley. 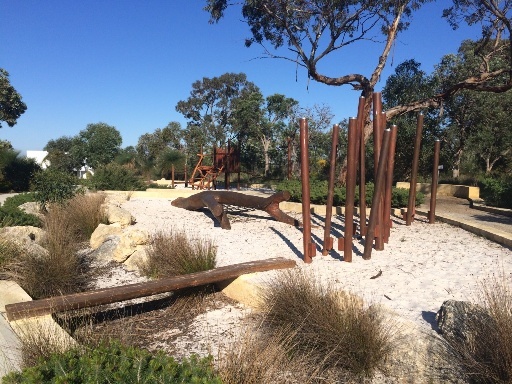 Here there is a little nature based playground, with sand play, nature viewers as well as a traditional playground, BBQs & a large grassed area. This nature playground is well hidden, without knowing about it your would never stumble across it. The best way to access it is to park in the few car spaces on Rannoch Circle just after Tay Place. 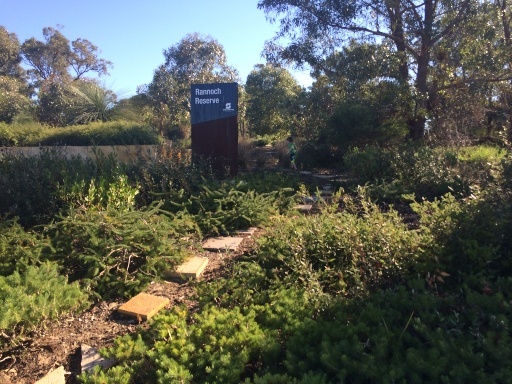 You'll see this sign and some stepping stones and a walkway up into the bushes. The nature based playground is just behind here. 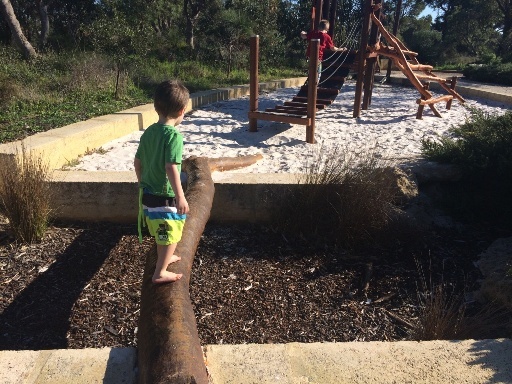 The playground is small but has some great nature based features, with balancing logs, a wooden playground and sand play features. There is a water play feature, but it wasn't working when we visited - and parts of the sand play feature weren't working either - but it was still plenty of fun. There are also some nature viewers around the playground - they have the name of certain trees on the side and are fixed pointing at these trees - so you are looking straight at the named trees when you look through the viewer. Here you will also find a good sized picnic shelter with a bbq - it over looks a big grassed area, perfect for running around and kicking a ball. 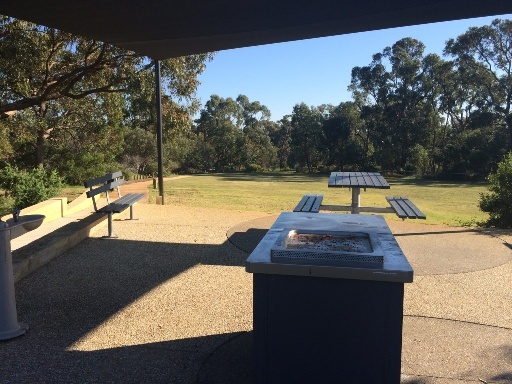 On the other side of the grassed area is a traditional playground, a couple more BBQ's and a picnic shelter. 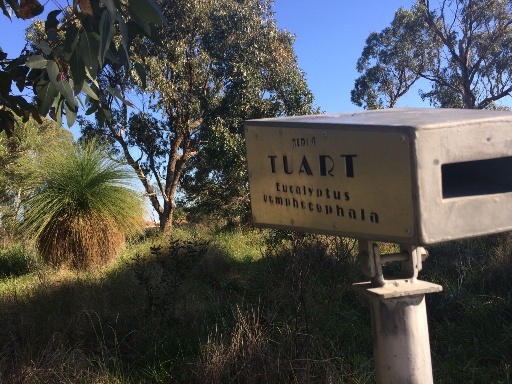 You can also take a walk through the bushlands during your visit. 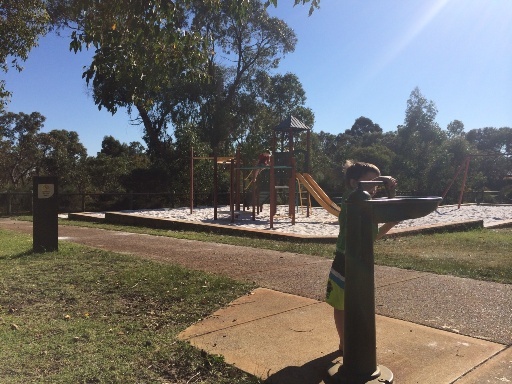 If you are looking for a quiet, natural spot to enjoy a play or have hold a small gathering with family and friends check out Rannoch Reserve in Hamersley. Just remember there isn't a lot of parking so ideal for a larger gathering.